John Kenneth Bille, age 80, of Green Lake, WI, passed away on Saturday, November 24, 2018, at his home surrounded by family. John was born March 21, 1938, in Waupun, WI, the son of Arthur and Ada (Wellhouse) Bille. He served our country in the United States National Guard. John worked at Wells Manufacturing Company as a maintenance man retiring after 28 years. He then worked for Knowles Produce for over 7 years. John married his best friend on May 27, 1994, Donna Wagner. In John’s earlier days he was a member of The Eagles Club in Fond du Lac and was an active member of The Federated Church of Green Lake. His passion was teasing and making people feel at ease. John was known for his quick wit, infectious smile and his compassionate spirit. He enjoyed playing cards, bingo, tractor pulls, hunting, auctions and old movies. John enjoyed feeding the squirrels and ducks in his back yard and spending time with his neighbors. He loved spending time with his wife of 24 years, his children and grandchildren as they enjoyed spending time with Poppa. Survivors include his wife, Donna Bille of Green Lake, WI; three daughters, Holly (Richard) Ninneman of Ripon, WI, Susie (Shannon) Lettau and Wendy (James) Barbeau both of Waupaca, WI; son, Seth (Jennifer) Wagner of Park Falls, WI; 18 grandchildren, sister, Grace Hermann of Waupun, WI; niece, Sue (Randy) Reimer of Beaver Dam, WI; nephew, David (Nicole) Hermann of Texas and John’s first wife, Charlene Bille of Fond du Lac, WI. 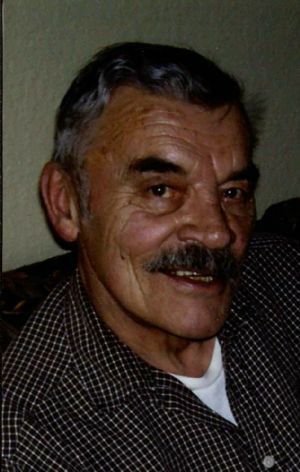 He was preceded in death by his parents, Ada Bille in 2001; father, Arthur Bille in 1986 and brother, Donald Bille in 2005. Visitation for John will be held on Saturday, December 1, 2018, from 9 – 11:00 am at The Federated Church of Green Lake, 489 Scott St., Green Lake, WI 54941. Memorial Service for John will be held on Saturday, December 1, 2018, at 11:00 am at The Federated Church of Green Lake with Reverend Karen Gygax Rodriguez officiating. Inurnment will take place at a later date at Zion Lutheran Cemetery in Alto, WI. A memorial is being established in his name.